Mix eggs with sugar and pinch of salt. Add in egg mass pumpkin puree and melted butter with milk, stir all. Pour sifted flour, mixed with baking powder. Stir well. 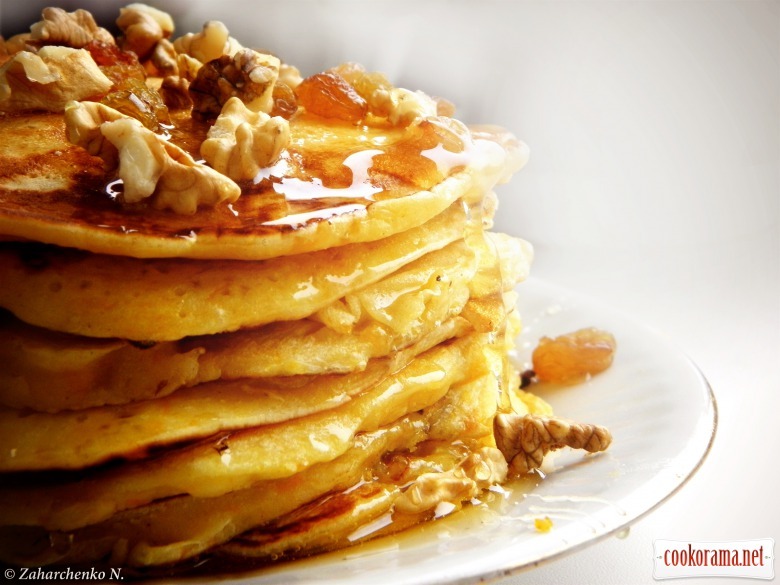 Dough should be thicker as for pancakes and more liquid, as for fritters. 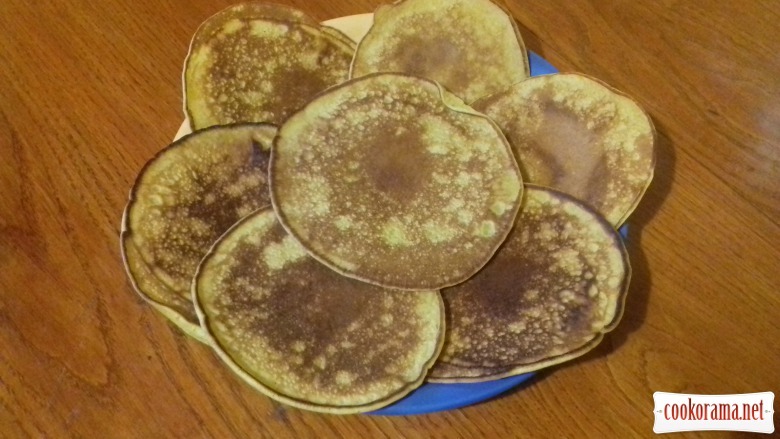 Fry pancakes in dry pan over low heat. Pour with honey. 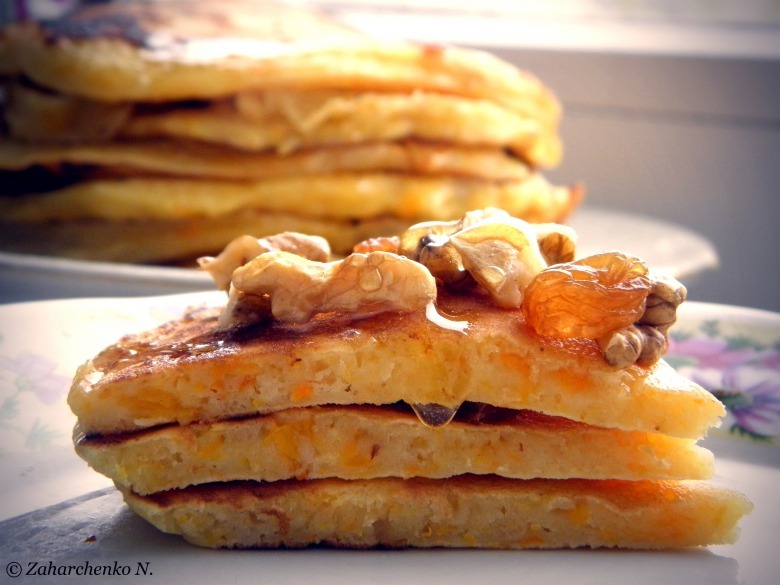 Top of recipe "Pumpkin pancakes"
Якою гарною краплинкою мед стікає! Дуже гарний і смачний рецепт!